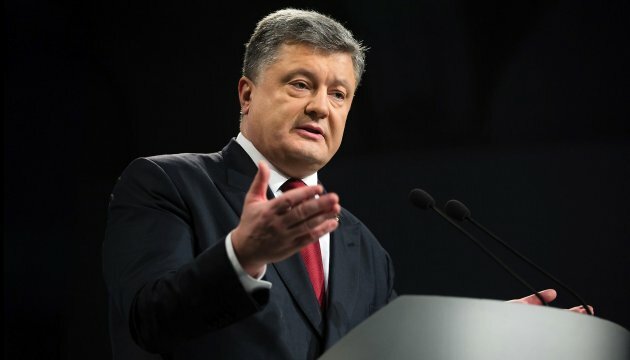 President of Ukraine Petro Poroshenko states he has a serious attitude towards declaration of his income. The President posted this on Facebook. "I am a chief civil servant in Ukraine who has a serious attitude towards declaration of income, paying taxes and the issue of conflict of interests, which I settle within the framework of Ukrainian legislation and international private law," the Head of State wrote. According to Poroshenko, having become the President, he "withdrew from the asset management, transferring those duties to appropriate consulting and law firms." "I expect that they will provide a full explanation for the Ukrainian and international media," he added. As a reminder, on Sunday, April 3, the media released the information with reference to the documents of the Mossack Fonseca law firm on the "Panama offshore companies", owned by many influential people from around the world. A number of Ukrainian government officials, including President Petro Poroshenko, is on the list.